3rd Feb 6pm, 7pm & 8pm demonstrations. 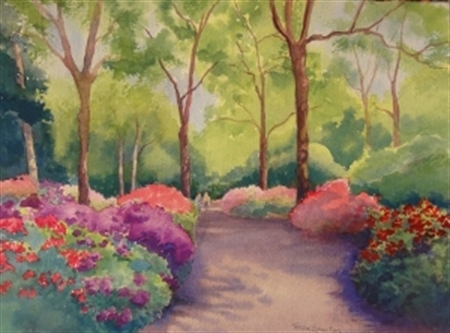 Adding to the growing list of FREE demonstrations by professional Artists, Corner Gallery is giving you a chance to learn through demonstration different methods and techniques of the most difficult medium of them all, WATERCOLOURS by TESSA SPANTON on our WEDNESDAY LATE CREATIVES evening. Please Email, facebook message or call us (020 8669 5899) to book your free session of either 6pm/7pm or 8pm. Please book early as there are only 10 spaces per session. Pieces of work will be on sale by this demonstrator and Coffee & Cake served free of charge.